Another year over, another bunch of layouts to add to the pile.... Here are my top ten fave pages I completed in 2010 (in no particular order). 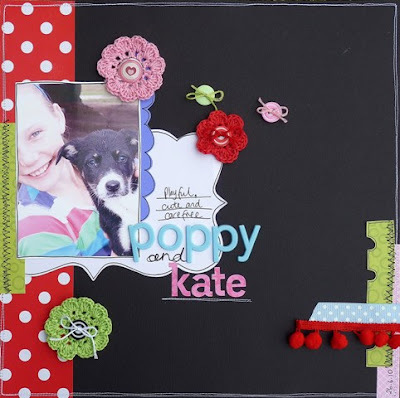 Poppy & Kate - one of my first sketch challenges during my Design Dollies DT stint. 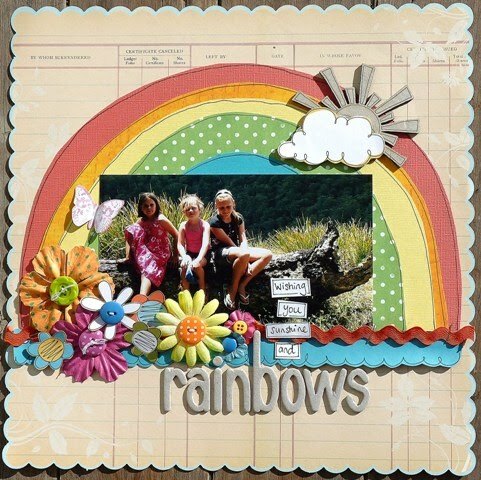 Sunshine & Rainbows - my entry for a Pencil Lines sketch challenge. 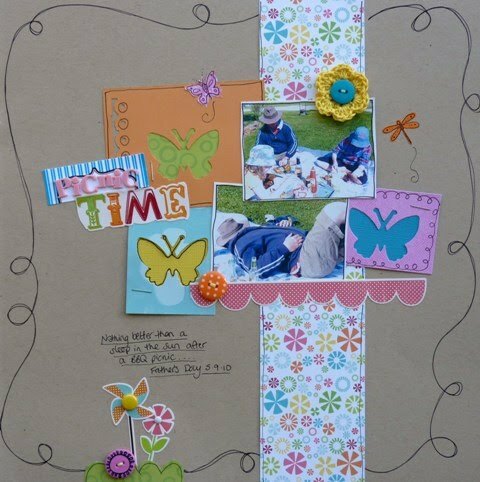 Picnic Time - another one for Design Dollies - using a sketch by the lovely Kristy. Happy - a poppet challenge for Home & Scrapped (thanks Josie!) 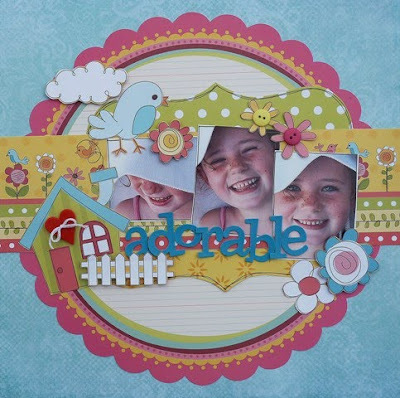 Adorable - this was for a Scrapawhile cyber crop. 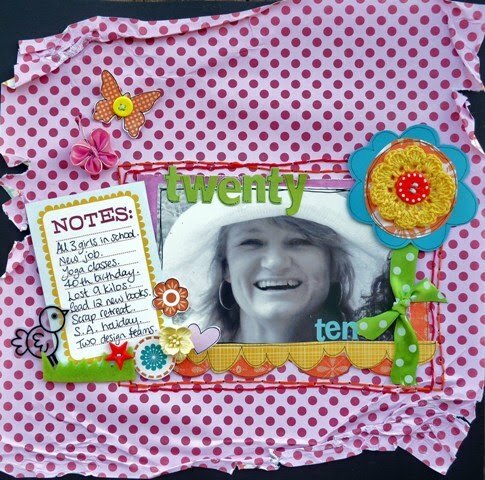 Twenty Ten - my first DT project for Show Us Your Stuff. 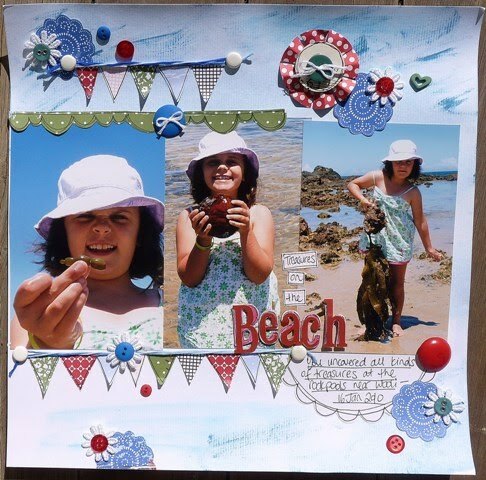 Treasures on the Beach - a Get Challenged Now for Home & Scrapped. 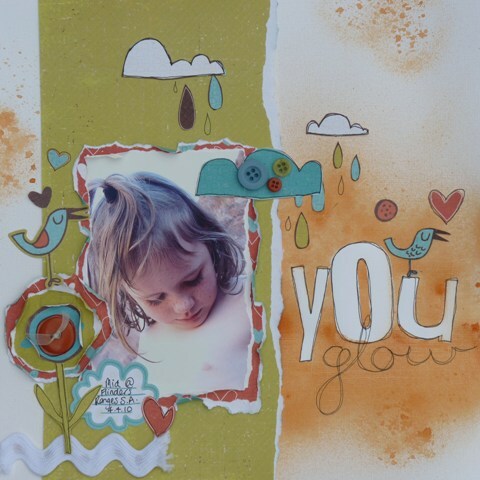 You Glow - a page I created for one of my Gum Flat Classes. 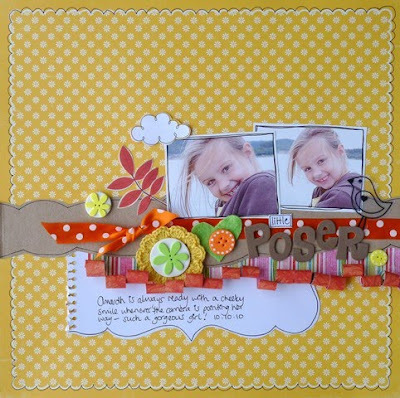 Ready Set Go - a "just because" double layout of my gorgeous Mimi Rose. and a continued love affair with buttons! See you soon with family update and Christmas holiday photos. 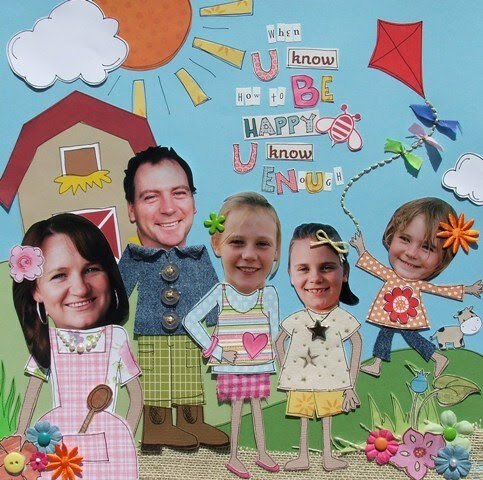 These are all just fabulous I love how different each and everyone is!!! !